Baxter Stockman was founded in Helsinki, Finland in 2006. The aim was to form a band making harsh and strong rock-music. Over the years this collaboration of three young men has molded itself into a tight unit. Flesh has become stringy. Baxter Stockman sounds like a band, not like three musicians who just happened to wander in the same room at the same time. Previously the group has released two CD EPs and a 7" single. Baxter Stockman attacks with a mundane rage, toppling over it's prey. Rapeman at their meanest, Swans having cramps, G.G. Allin's forgotten grave… The drums are the size of a high-rise stone building. The guitar and the bass screech uncomfortably. Melodies are often based on just a couple of notes, but create a sonic world taking listener far beyond just that. The vocals range from declaratory murmurs to harrowing cries. "Punter" includes a collaboration with Umpio, mr. Pentti Dassum with his junkelectronix. This is not art for art's sake, this is simply rock'n'roll as envisioned by Baxter Stockman. 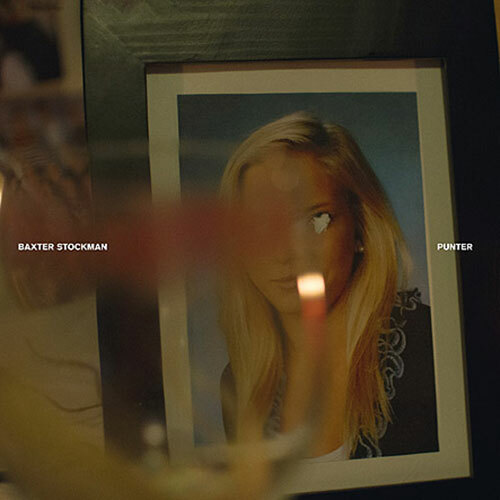 "Punter" takes it's place in the continuum of abrasive music, starting from the destruction and rebuilding of punk rock, progressing toward american noise-rock and finally ending up in the Finnish underground. While Baxter Stockman respects it's predecessors, it takes a thorny path of it's own. Black vinyl in full colour sleeve.